A number of Wii titles have now made their way to the Wii U eShop, and there could be a rather wonderful pre-Christmas treat on the North American store. Following a recent ESRB rating, Super Mario Galaxy's official game page on Nintendo of America's website is now listing it for a 24th December release, at the standard $19.99 price for a Wii download. It's certainly feasible in light of that recent rating, though these game pages have certainly been known to be wrong from time to time. Should it prove accurate it'll surely be tempting, however, especially as it can join Wii U accounts alongside Super Mario Galaxy 2, which was released for download at the start of the year. Sadly this wasn't included in the European Nintendo Download details earlier in the week, but hopefully it won't be too far away. If this is released in the upcoming Nintendo Download Update in North America, how many of you are planning to pick it up? I still need to play the second one and played the first enough that I don't need it again. I should've got it on sale last year the second one that is. And the 3DS will get nothing. The 3DS needs some attention it is getting boring on the e-shop. @andrew20 I think Indies are starting to move away from 3DS. @Moon yes it has the last great thing was sonic 2 and that was back 2-3 months ago.Only thing we got was promises. Nintendo of America really need's to step up there virtual console releases or just let Nintendo of Europe take it over. 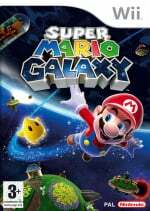 As for Super Mario Galaxy No I will not be purchasing it anytime soon if it get's released tomorrow on the eshop. I will just wait it out until I can get it for a cheaper price since I have done played it a ton back on the original Wii console back when it was first released. Also I will be visiting friends and family most of tomorrow and maybe get to play the newer games that I will receive tomorrow. Instead of and old 8 year old game. Never owned a Wii, so I would like a chance to play this. If it ever comes to Europe with gamepad support I will give it a go. One of my favorite games for the original Wii. Still have my disc though. I never own the first game,but have Galaxy 2. I'll probably get it over the weekend. @Yeahman Correction: We have to celebrate every time a Virtual Console game is SUPPOSEDLY coming to the US, because Nintendo of America's distribution of downloadable titles is just that pitiful. I actually just started replaying this game yesterday. If it ever goes on sale for $9.99, I might give it a download and sell my physical copy, but otherwise, I'll pass. Although I'm a little worried that selling my physical Wii games in favor of Wii U downloads might be a bad idea if the NX is not backwards-compatible with them. With over 100,000000 Wii's sold and only 10,000000 Wii U's sold, there must be a few million copies of Mario Galaxy floating about (pardon the pun), so where are they? @Captain_Gonru Agreed, hard to celebrate a $20 DL of a 5 year old game that's been $20 on disc the past few years. And after the way I've spent my day - moving stuff between my external HDD, internal "system memory" and new 64GB flash drive to make room for XCX - that took literally all day - I never want to DL anything ever again. It took 45 minutes just to copy Disney Infinity from HDD to flash drive. Then a few hours to DL the 3 XCX packs I didn't have yet and install them on internal memory. Now I'll be wondering if the save point will be internal or external and bundled in with the 10GB combined DL, which would make it a nightmar eto back-up. So later I'm getting a spreadsheet set up with what games are installed where and what the dates are on the save points so I don't accidnetally overwrite a newer save point with an older one adn lose the newer savepoint. 4 accounts in my house playing games, hopefully NX will have cloud saves. Not cloud gameplay, that' sjust stupid, but clud saves I can get behind. And an actually functioning internal storage at least bigger than a smartphone. And an OS that asks where to DL things to, internal or external. It's so much more complicated that it needs to be. So we're good w/ our SMG disc. Maybe when it's free I'll DL it. Maybe. And Happy Holidays to you and yours. Would have preferred Super Mario RPG (which Europe got this week) or Super Mario Advance 4 (which Japan got this week). @andrew20 steam world heist is out and it is pretty great. Oh how sweet, thank you so much NOA for releasing a game I could just buy a physical copy of at the same price instead of releasing those obsolete hard to find in store games that nobody wants such as SMRPG or Metroid Zero Mission. NOA you have the best VC releases out of all regions and Reggie you rock making sure we get the best VC releases. 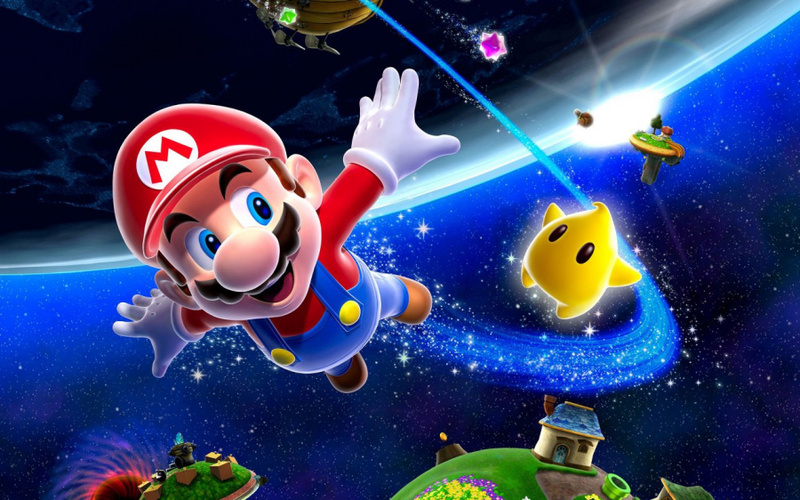 @Don Super Mario Galaxy is very popular and would be more likely for them to port because of that. Plus you don't have to load up the wii menu to play. @HyrulianOfHyrule You and me both. You and me both. Got this on Wii, neeeext. No thanks, I have it on disc. Are the two DS Zelda games out in NA yet, or at least announced? I have Spirit Tracks on cart, but I am still interested in Phantom Hourglass. @slimsnerdy Been waiting since e3 2015. Or waiting for sunshine for virtual console. Wake me up when we ACTUALLY get VC games that NoA should be releasing to us that WE ACTUALLY WANT. Okay, so...we're getting SMG1 versus Zero Mission, Xenoblade Chronicles (Which is a biggie for those without a N3DS considering the Wii version's price for folks) or even some of the cooler things Japan's gotten recently like Final Fantasy VI Advance or even the upcoming Super Mario Advance 4 /with e-reader levels/. And also Super Mario RPG. NoA, you have a good three to five things you can release that are not easy to get and you choose this. This is only a tiny bit better than normal. Ugh. I still have my disc, so I'll pass. Nice gesture though. I'll get it. Re 4 would b a real swell Christmas gift. Wake me up when Zero Mission finally releases. I'd rather have Super Mario RPG. Although Galaxy is a great game - but also, as many others have stated, readily available. I'm more surprised/disappointed that the eShop had no first party deals this week leading up to Christmas. Not that Nintendo's sales are that great anyway, but the fact that there were none to be had was pretty rough. "Sadly this wasn't included in the European Nintendo Download details earlier in the week, but hopefully it won't be too far away." So what? You guys are getting SMRPG AND SM64DS, so I don't wanna hear your complaining. Galaxy is great and all, but it's not what I was excited for and it still feels like a consolation prize in this situation. Fail! They should release Mario Sunshine or do a HD remake, not release a game everyone already has on disc that is backwards compatible. Galaxy 1 is a great game, and if it weren't for the fact that I have it on disc and my budget is tight, I'd pick it up. If I had to choose a Nintendo Wii title though, I would opt for Donkey Kong Country Returns or the Wario Ware that came out early in the Wii's life. I know times are tough in America Nintendo. I can't help but wonder if we would have gotten to vote for VC releases by now if the Wii U would have sold as great as the Wii did. Finally! I've been waiting for this ever since Japan got it last January. This almost makes up for the lack of good NA VC titles lately. We still need AC Wild World though and then I'll be happy. People who are complaining about NOA releasing SMG tomorrow are irrational because we are lucky to get something this good for VC. Just be glad it's not some crappy GBA game that no one's heard of. @Stuffgamer1 I agree with you completely! Europe's been getting everything lately - it's our turn! HD rereleases or no dice, Nintendo! @ericthecheese I might be wrong but I'm sure last year they didn't announce the Xmas day discounts until really late on.Hopefully the same will happen again. if Nintendo released this at 720p60 or 1080p60 it would be an instant buy for me. But in its current 480p mess - no thanks. There's a reason why Dolphin emulator et all are the true 'spirtual' successors to Nintendo's past systems. Nintendo don't even need to change the textures or nothing. It would be a simple improvement. ummm Shantae? I didn't think I would be waiting until the last week of the year? Already own this so it doesn't really serve any purpose for me, but at least those that do not (there are some people that don't own this right?) will be able to buy it. I would much rather what NoE got than this game... heck, I'd take one of the two games NoE got over this and be happier. For the two people in Alabama that don't have this, great. @Captain_Gonru 24 hours. And I finished Yoshi Wooly World last night to make sure I was ready. I cleared it on "mellow" using the amiibo as a partner but I didn't buy my way past any levels, thats a success for this old man on a 2D platformer. And I have over 130,000 gems left to show I didn't badge it too much. Don't worry about checking your storage, I'll find out soon enough. I'd check the forum thread but I'm trying to steer clear of any spoilers. My new flash drive doesn't have an LED light so I can't tell what's going on where. But I will check my save file once I'm done with my first session to see if it's internal w/ the 10GB DL or on the flash drive. I have a feeling I'll never know if it's using the DL though and it will follow me to the grave. I'm pretty sure that's Purgatory. And if I'm lucky. It's actually a fairly apt metaphor for the Wii U's storage situation. Internal is heaven, external is purgatory, and my literally up in smoke external enclosure was hell. Too bad heaven is so small. Maybe if I say a few Our Fathers and Hail Mary's XCX on disc will read the DL? Pardon all the Catholicism, it's Christmas. @Captain_Gonru I thought about going the Dante route but I didn't feel like getting bogged down with which circle of hell each storage mechanism belonged in. So everything is saved under one XCX icon huh? Well that kind of stinks, means I need to back up all 10GB every time as you can delete individual parts but copying and moving are all or nothing. Really screwed me over with my Hyrule Warriors saves. Thanks for everything, Merry Christmas, I'll let ya know how it goes. @rjejr Coffee's brewing, quiche is reheating, the wife is napping, boys are learning to play a new board game based on Magic the Gathering, so I thought I'd take a moment to let you know the game is installed and updated and saved all to system memory, so I'm putting that to rest and hoprfully despite Ntineod saying an external flash drive is no good their internal flash memory lasts, as I'm not backing up all 10GB. Haven't started it yet but man are there a lot of settings for online message sending and receiving. I'm keeping them all default for now but I changed 1 to Yes for "Follow Miiverse Friends" or something. you and a couple of others are playing so I might as follow along. nty, $10 and u got a sale instantly. I know this is just 1 game but still.